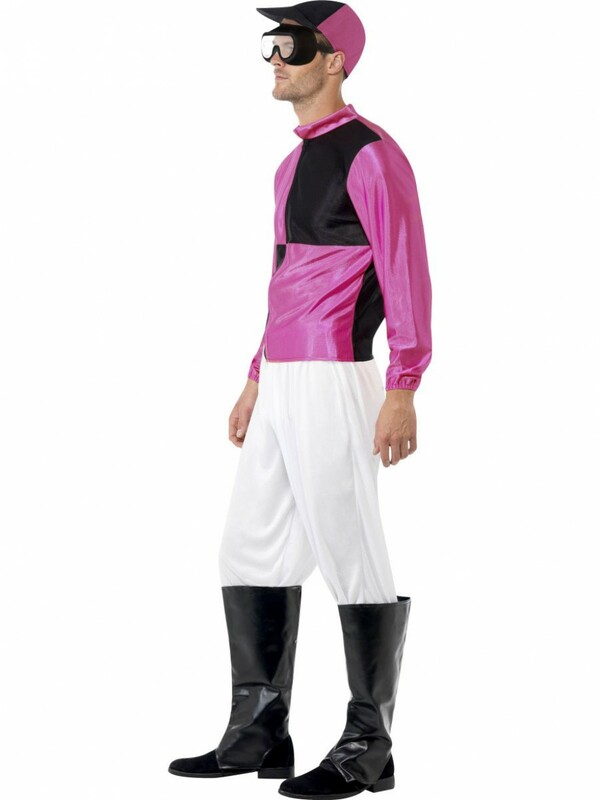 This great Jockey Costume provides lots of fun, perfect for Sport/Comedy fancy dress; this outfit includes Top, Trousers, Bootcovers, Hat and Goggles. 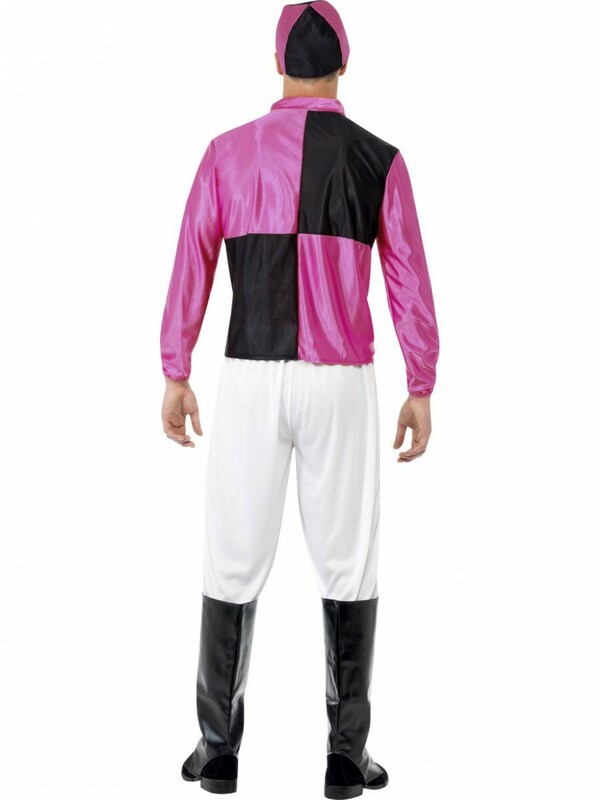 Turn heads with this brilliant Jockey Costume including Top, Trousers, Bootcovers, Hat and Goggles, perfect for Sport and Comedy fancy dress occasions. The striking pink and black square blocked design top stands out in the satin-style material. A pair of long white trousers with attached black boot covers are included to go over your shoes and make this Jockey Costume what it is. A matching printed hat with slight peak is included, whilst a pair of black goggles with a see-through panel, perfectly complete this great Jockey Costume! 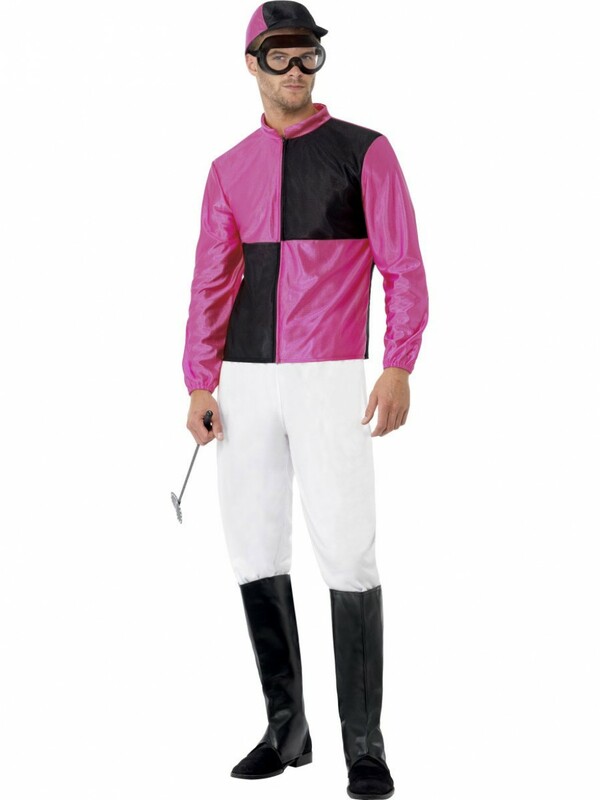 This vibrant Jockey Costume is ideal for Sport/Comedy fancy dress themed occasions! Jockey Costume including Top, Trousers, Bootcovers, Hat and Goggles.